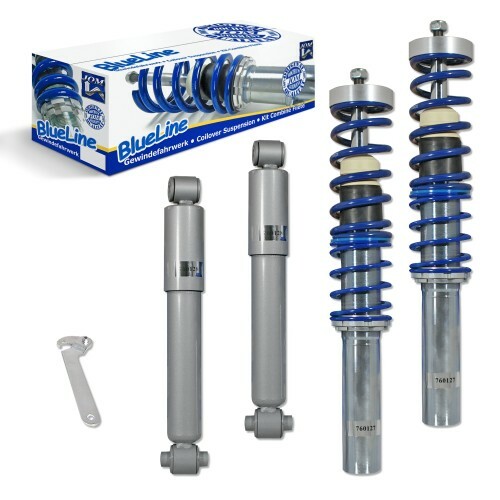 The BlueLine coilover suspension kits are highgrade car-specific suspension components with a lowering on frontaxle between 35-50 mm and on the rearaxle are the series torison bars. The range of adjustment gives an individual body lowering. The kits have a huge transverse force absorption. The initial spring tension survives in complete range of adjustment. Adjustment after installation. 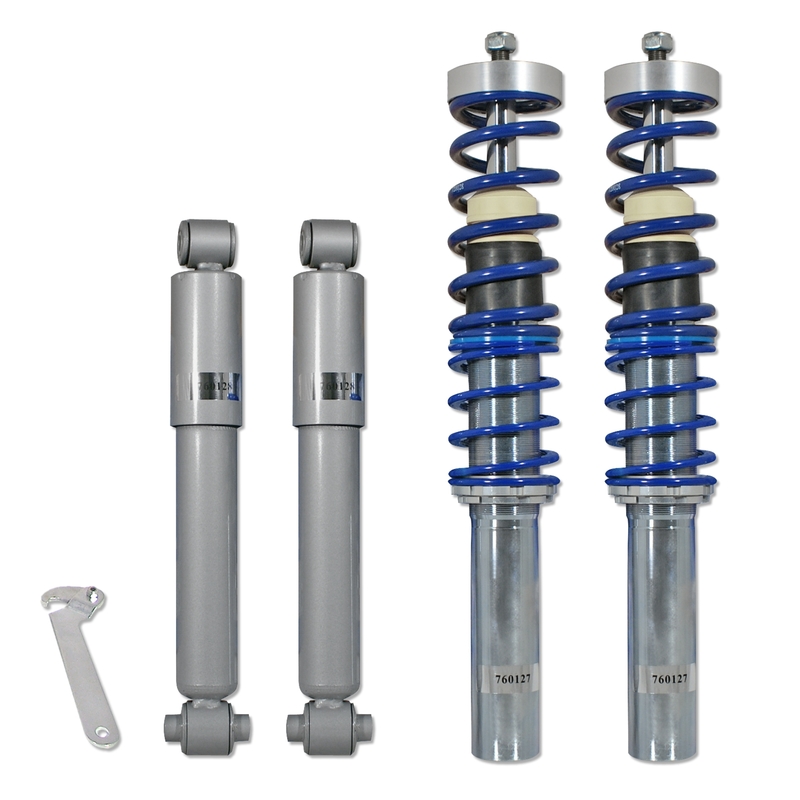 Car-specific versions: front thread / rear thread.